Basic screen capture for screen"
Often we need to make different captures of the desktop or of different areas. That’s why we need an easy to use tool. For one reason you may wish not only to print documents but to also take a screenshot of your screen. 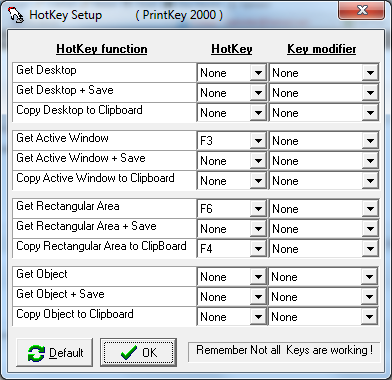 PrintKey 2000 is on toolkit which helps you to take a snapshot of what happens on your desktop. 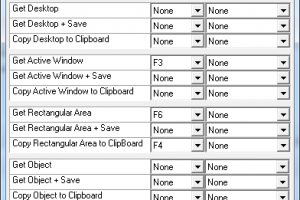 In addition, you have an option to have a rectangular capture in which you can navigate the cursor to areas which you wish to capture. The output file of the capture can be in any image file format according to default program on your system. The download is simple and easy. The toolkit is simple and intuitive even for a novice who has no knowledge in handling capture. All the test runs were efficient with no issues. It is a freeware and a lightweight application which occupies a small disk space hence does not compromise the functioning of your computer. The number of downloads since its inception is a clear indication of its efficiency in service provision. Once you install it you also have an option to pin it on your desktop such that you access it with just a click. This is an excellent software ideal for all users who require a desktop application to enhance their usability. PrintKey 2000 is licensed as freeware for PC or laptop with Windows 32 bit and 64 bit operating system. It is in screen capture category and is available to all software users as a free download. Capture frame from video and .. Capture from screen and save ..
Record a custom part or .. Capture video from DV camera ..
Record video and audio from ..